Train your brain to be more creative and tap into your incredible creativity! 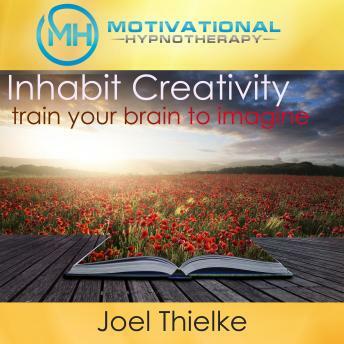 Motivational Hypnotherapy's Joel Thielke is a world-renowned hypnotherapist and author. He's helped millions of people unlock creative energy and success, and now you hold the power of hypnosis in the palm of your hand. This is the perfect program for listeners of any age, no matter your level of hypnosis experience. We recommend listening to this audiobook for 21 days in a row to get the most out of your listening experience. You can listen to one or all of the induction tracks, it's completely up to you! That's what's so great about self-hypnosis...it's convenient. It's about when is good for YOU. What are you waiting for? Be creative, be confident, be bold!